Middleweight champion Gennady Golovkin looks to defend his championship for a record-tying 20th consecutive time against Vanes Martirosyan in a 12-round bout. 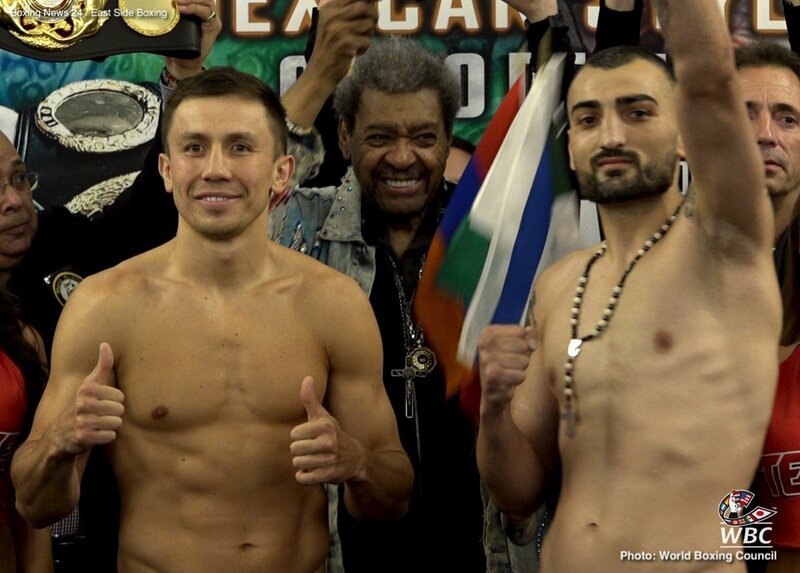 Pound-for-pound star Gennady Golovkin’s ring return this Saturday night against Vanes Martirosyan will be shown live and exclusive on BoxNation. The unified middleweight world champion Golovkin will put his WBC and WBA belts on the line against the man known as ‘The Nightmare’ at the StubHub Center in Carson, California. The bout was quickly arranged following the suspension of Golovkin’s Mexican nemesis Canelo Alvarez after he tested positive for the banned substance clenbuterol which saw their eagerly anticipated Las Vegas rematch cancelled. Now, though, live and exclusive on BoxNation, UK and Ireland boxing fans will be able to see one of the sport’s most exhilarating fighters in action this weekend as he looks to defend his middleweight titles successfully for the 20th time, a feat previously accomplished only by Hall-of-Famer Bernard Hopkins. Despite going in as the underdog against the Kazakh, 31-year-old Martirosyan has already shared the ring with some accomplished names including Erislandy Lara and Jermell Charlo and will be seeking a title for the third time. Even though he will be moving up to 160-pounds for the first time, the younger Martirosyan believes it will be a huge boost for him going into the fight.